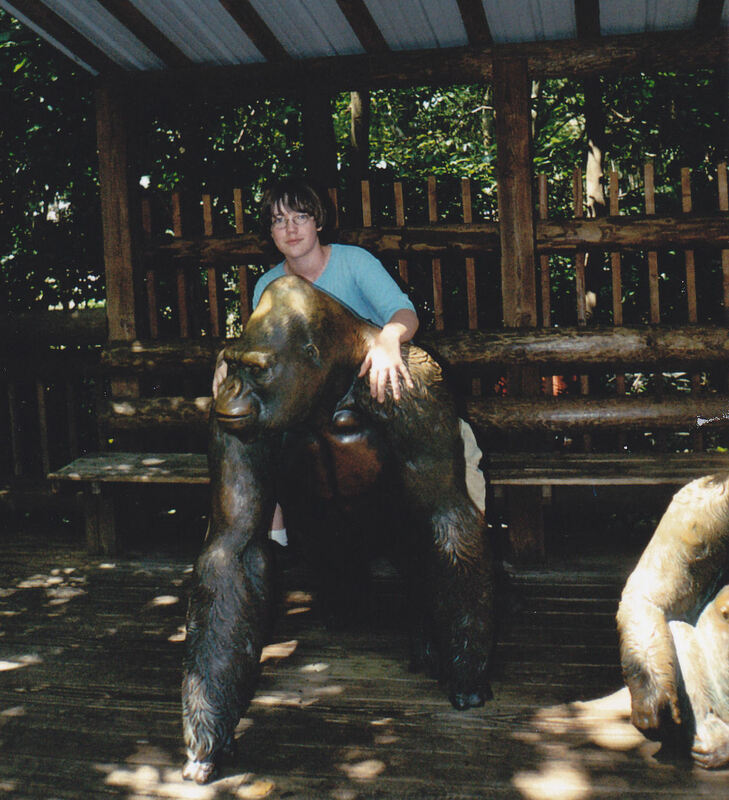 Our 2007 Road Trip, Part 3: Mandatory Zoo Visit « Midlife Crisis Crossover! 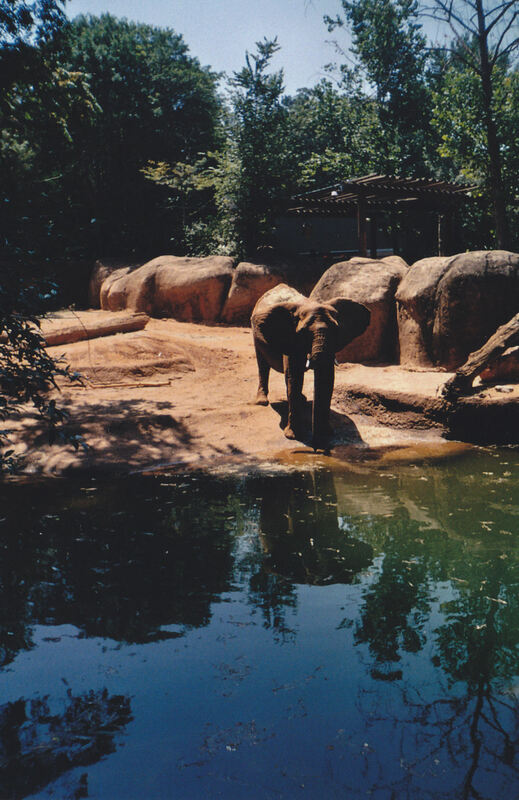 A zoo where elephants enjoy their own version of Walden Pond? Sure, why not. Longtime readers have seen the title before. If you don’t know the drill, it’s not hard to figure out. We had time for just one stop on Day Two in Atlanta, which gave us a nice option for crossing “zoo” off the to-do list. 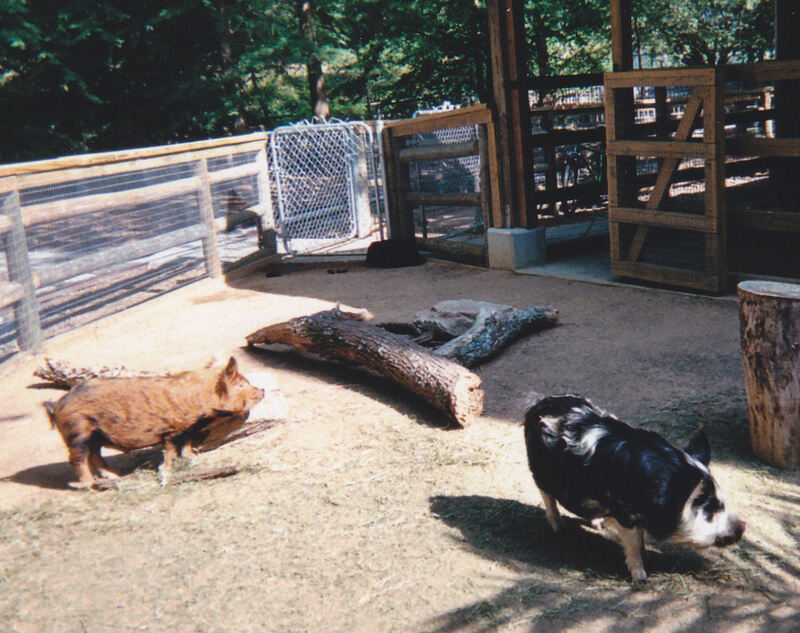 It was certainly one of the most sylvan zoos we’ve ever visited, and we had the privilege of seeing one set of very special guest animals that were only in town from overseas for a limited time. It was incentive enough. 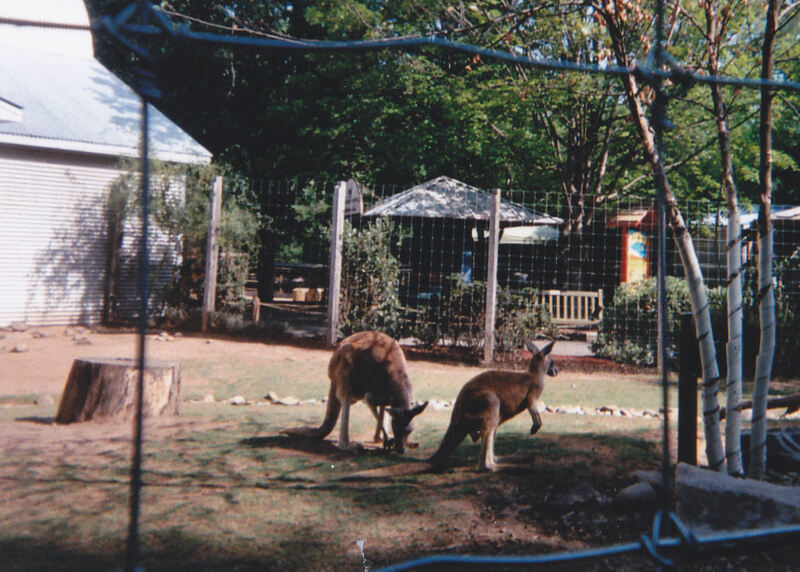 Wallabies were among a handful of animals that were not hiding two hundred feet from the fence. Family vacation tradition necessitated at least one concessional sightseeing stop tailored to my son’s more average tastes. Roadside oddities, historical landmarks, and natural wonders occasionally amuse him and hold his interest, but we like to let him choose at least one stop himself rather than force him to settle for our selections alone. 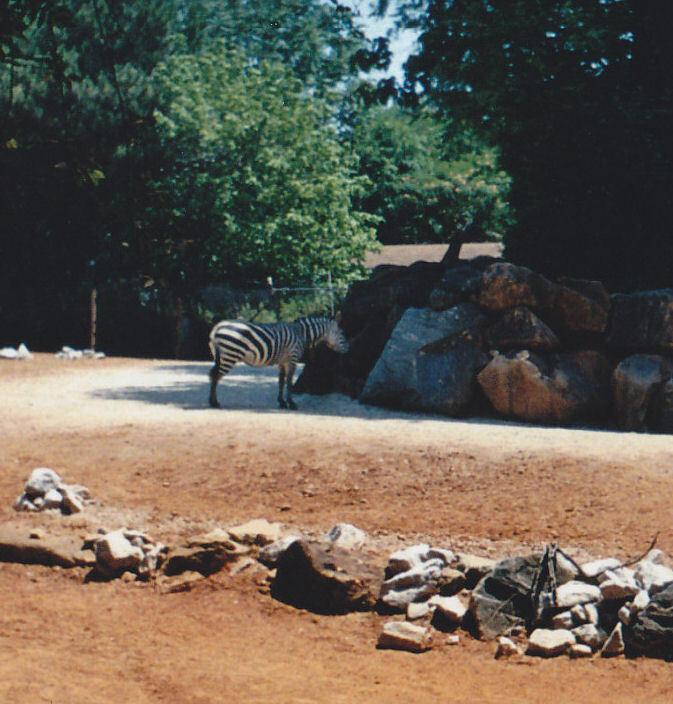 After stops in previous years at Canada’s Marineland, the San Antonio Zoo, and the Minnesota Zoo (to say nothing of frequent visits to our own Indianapolis Zoo), Zoo Atlanta was an obvious choice. How many times has this happened to you? You take the kids to the zoo, but the animals maintain minimum safe distance like someone’s filed a restraining order against them. Hence the standoffish zebra. Thankfully zoos differ from each other in the way that matters most — we usually get to see at least one animal we’ve never seen before. New experiences for us this time included wallabies, midget frogs the size of insects, and gorillas, which my son the King Kong fan so desperately wanted to believe were silverbacks despite my complete willingness to read the posted signs to the contrary. 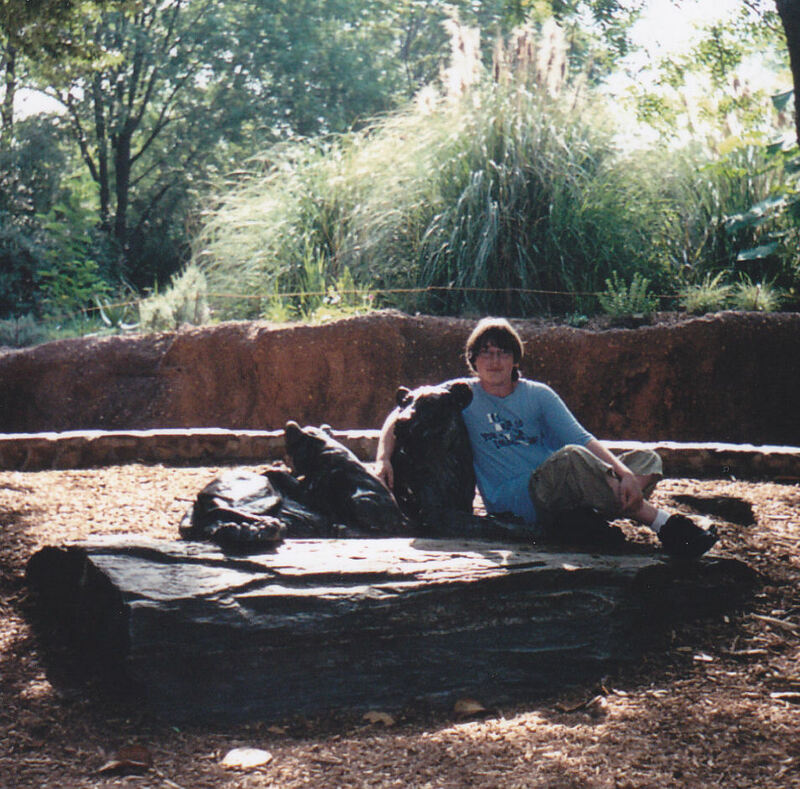 A pic with a fake gorilla was of course the best possible photo op. His gorilla phase was squarely Peter Jackson’s fault. 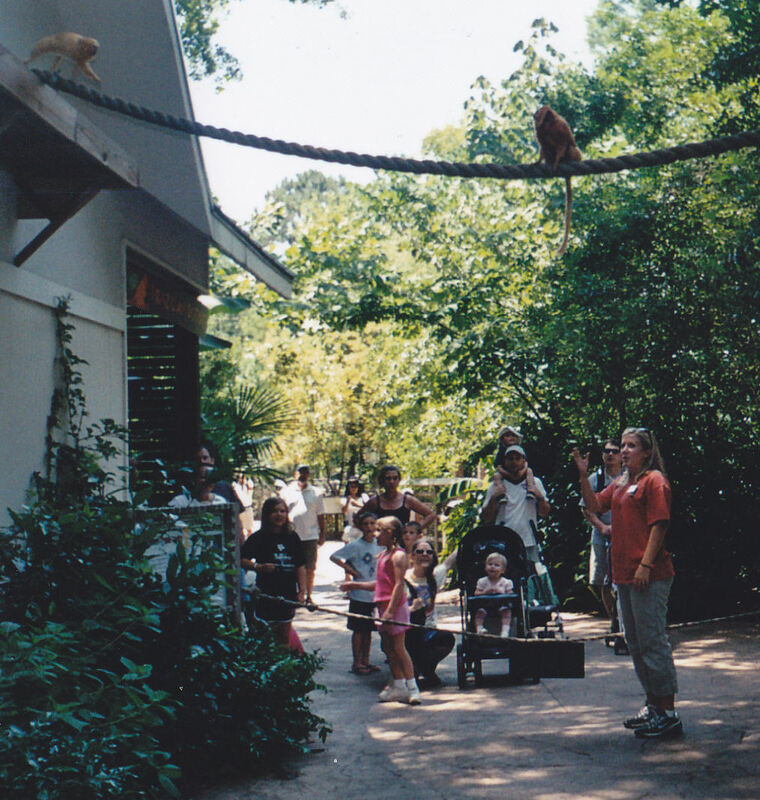 The sad truth: in a lot of zoos, the animal statues cooperate more with photographers than the real animals do. 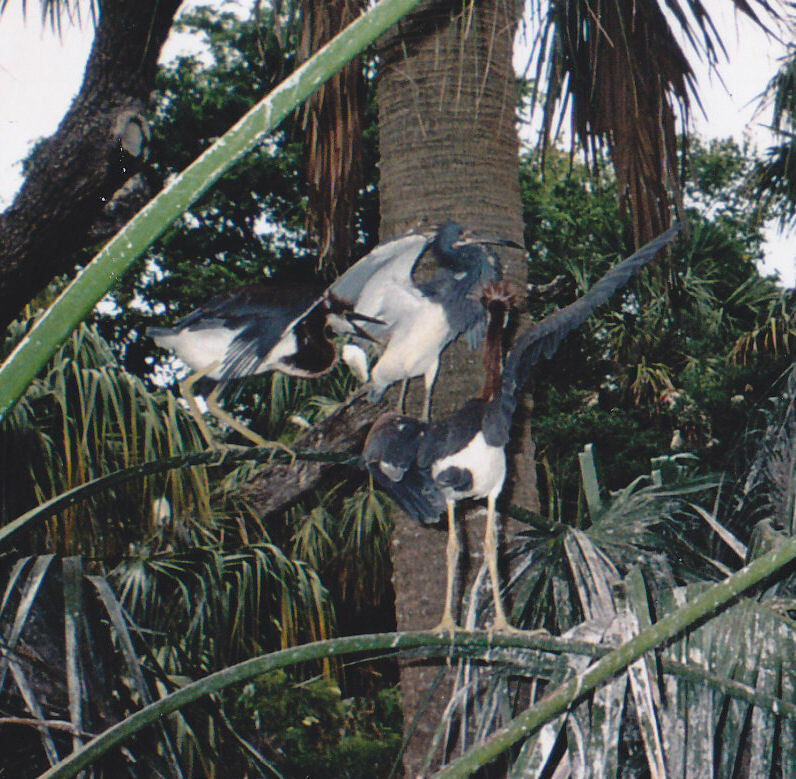 One disadvantage to revisiting old zoo photos: memory loss of all the details that make each species unique, such as these tall birds labeled in my notes as “tall birds”. I’m an excellent animal educator. 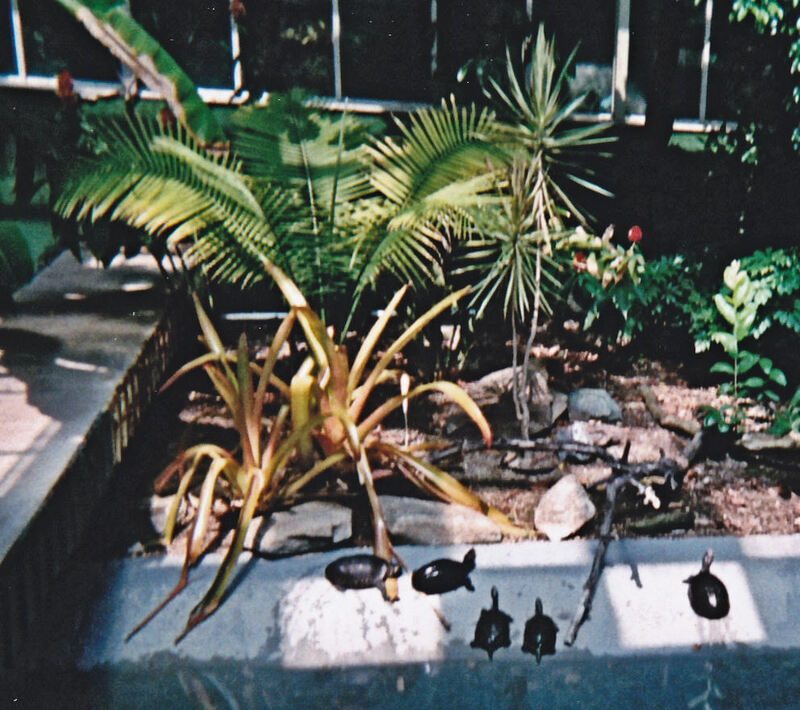 In some pens the flora were more eye-catching than the fauna. Here the bale of turtles seems added as an afterthought. 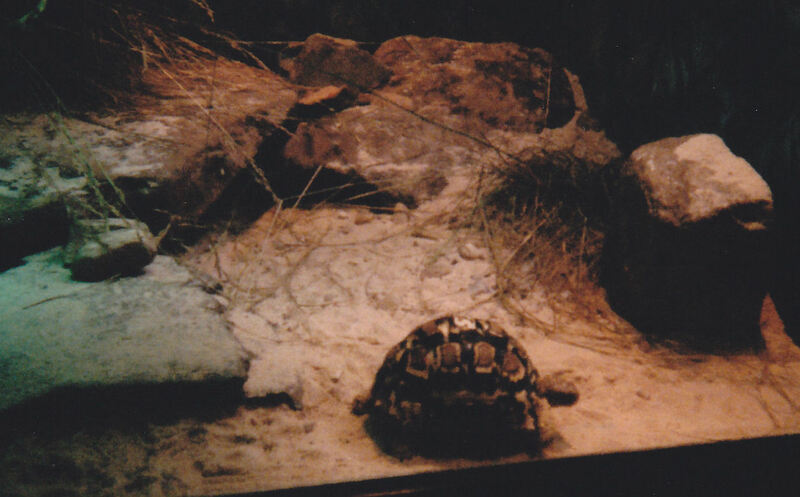 This turtle crawling among the other indoor denizens is proud not to have to share his living space. 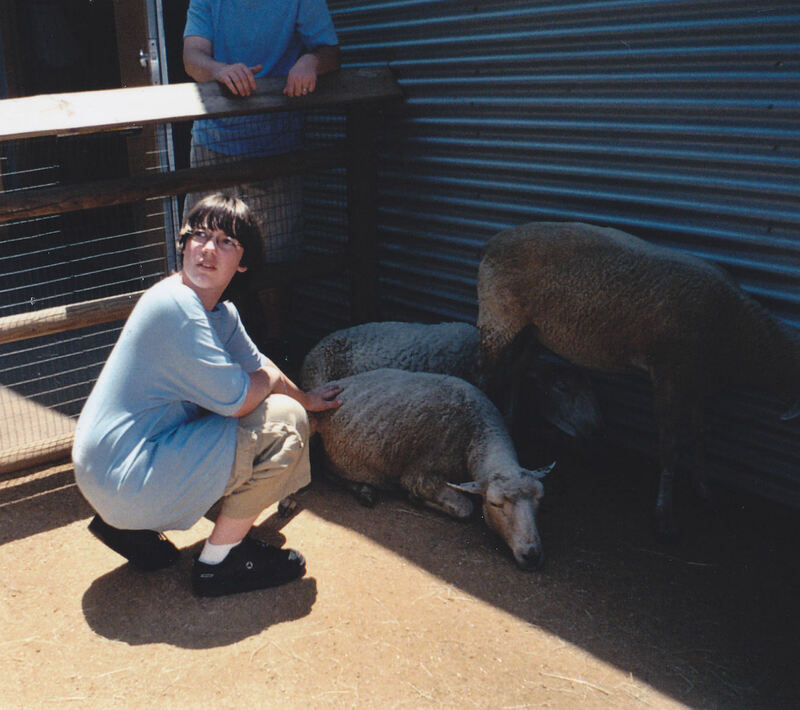 The petting section of every zoo tends to have the most mundane animals, but when you’re a tyke, you don’t care if it’s an exotic endangered species or everyday American lunch fodder. Tykes want to see animals. Any of them. To them even sheep are cool. Everyone, kids and adults, loves pigs as long as they’re not in charge of washing them. Babe! Gordy! Miss Piggy! Hen Wen! That charming Arnold from Green Acres! Pig from Pearls Before Swine! And thousands more! 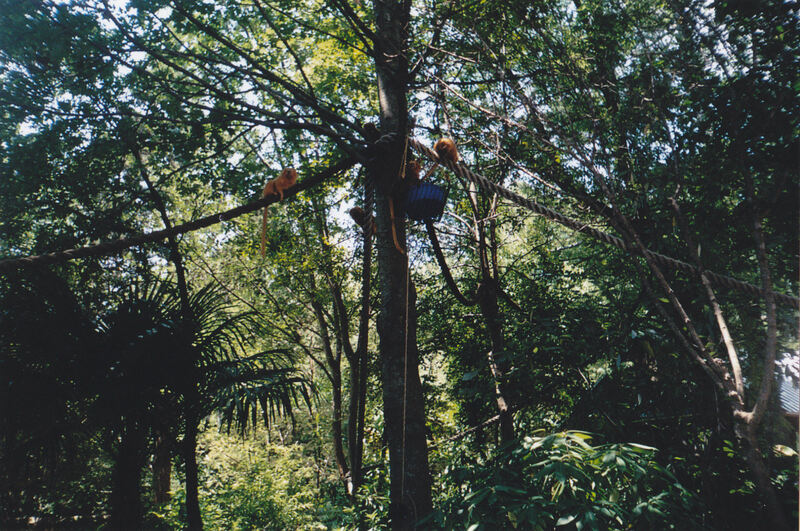 Tamarins representing for the monkey kingdom. Tamarin showoffs, proud to be among the few animals for whom chain-link fences a prison do not make. 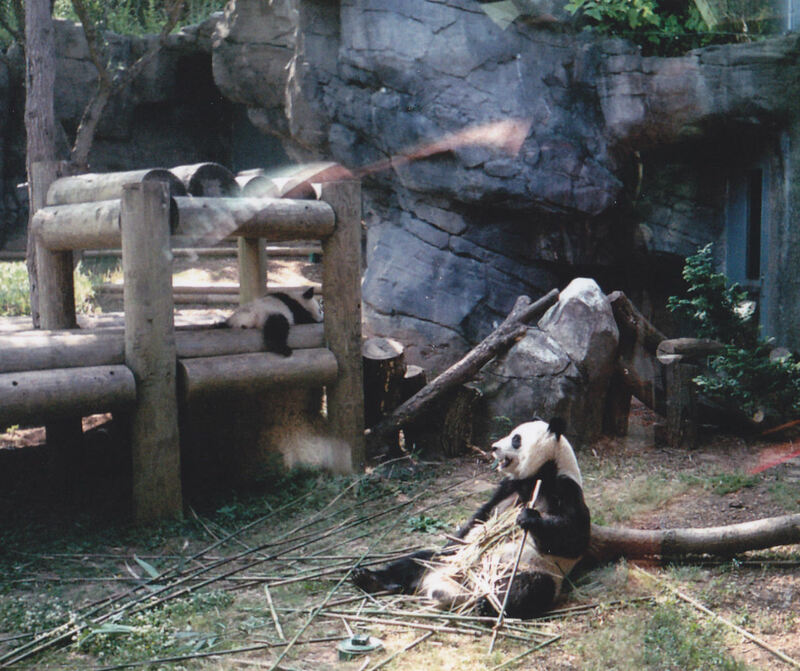 This particular summer Zoo Atlanta’s feature attraction was a group of Chinese pandas on the first stop of their world tour. The internet tells me I’m supposed to call them “an embarrassment of pandas”, but that’s a terrible term. As a fan of the Kung Fu Panda series, I refuse to endorse it. Our complete panda experience: eating shoots in repose. The pandas were such divas that viewing them required timed tickets (just like the Washington Monument) so that all the tourists didn’t mob them at once. Zookeepers were strict about keeping us silent as we were ushered through their section to watch them frolic and shower themselves with bamboo, which was in plentiful supply — not only in the panda zone, but throughout the entire zoo like a Pier 1 Imports paradise. Like the pandas we also had lunch at the zoo, just to get it over with before we resumed our journey to Florida. Nothing about any zoo food in world history merits in-depth coverage in a travelog, so we’ll be moving on to the road now unless anyone is interested in our three dozen outtakes of faraway lumps, fuzzy blurs, dots that might be birds, and shots of wooded backdrops that I’m not even sure have animals in them.